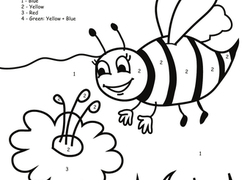 For little learners, it doesn’t get much more fun than watching a scene come to life before their eyes as they apply their number knowledge and coloring skills to a page. 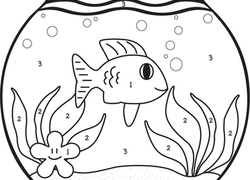 These colour-by-number activities are a great educational tool to engage your child or classroom in numbers and maths practise. 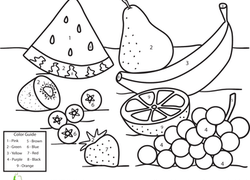 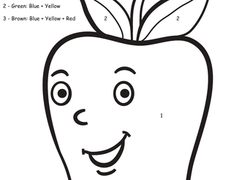 There are even worksheets your child can colour by letter, shape, sight word, and more! 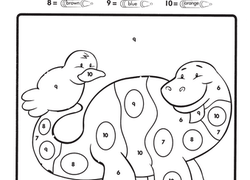 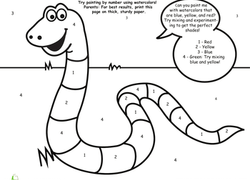 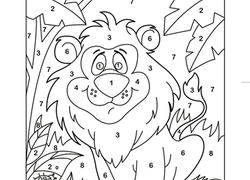 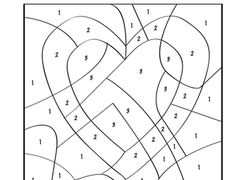 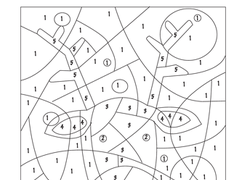 Coloring is as easy as 1-2-3 with this colour by number page! 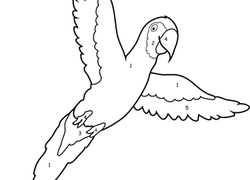 Your young artist can practise her number skills as she colors this pretty parrot. 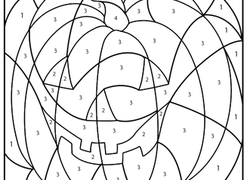 Expose the tree in the picture by coloring in the numbered sections according to the key below the picture. 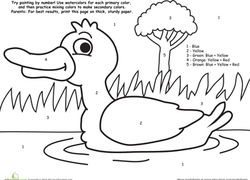 First graders will enjoy this colour by number treat!